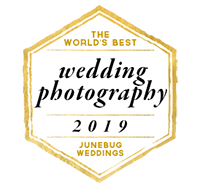 We’re London-based destination wedding photographers Olivia and Dan, and nothing is more amazing to us than documenting the story of two people in love. We seek out that special connection between our couples, and aim to capture it in a genuine way, focussing on the raw emotions, and real moments. We’re truly passionate about documenting the story of two people in love. We document your day naturally and un-obtrusively, resulting in an honest portrayal of your celebration. Our style blends documentary with fine-art photography, to create evocative, cinematic imagery that feels timeless. We capture the heart and soul of your story through a strong visual narrative, rich in emotion. A Destination Wedding Photographer Duo. Based in London and Italy.